Sure Batman is in impeccable shape, but he isn’t capable of pulling off superhuman feats of strength on his own. 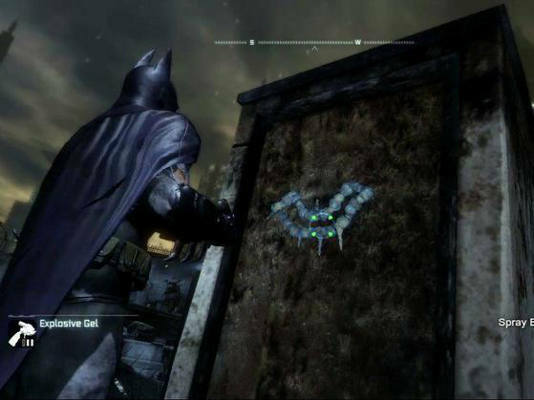 So when the Caped Crusader needs to knock down a wall or bust through a floor, he depends on his explosive gel. Once dispensed from his gel gun, this explosive liquid can be detonated via a remote control. It’s not extremely powerful, but it’s useful in taking out larger objects in his way. And, of course, in order to stroke his own ego even more, whenever he sprays the gel he always does so in the shape of a bat. If he doesn’t brand himself, who will?